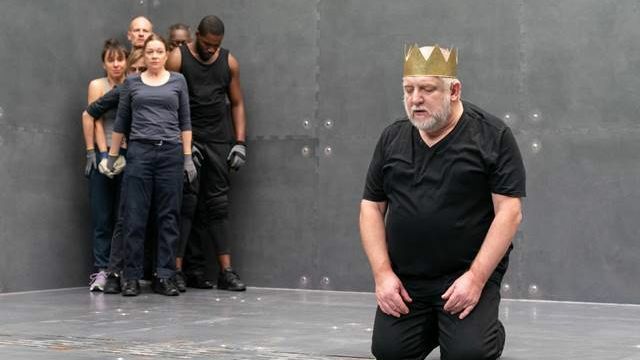 King Richard (Simon Russell Beale) has an arrogance that is fuelled by an inherent belief in his God-given right in his reign. Beale is able to convey this masterfully. The intensity of his emotions and disbelief at the betrayal that surrounds him is shown as truly incomprehensible to him. His performance is as astonishing as it is emotional. Bolingbroke (Leo Bill) is played like a reckless daredevil on a mission without a road map. He is often portrayed as having little more than determination to see him through. The ensemble cast all bring this brand of edginess to their performances. This undermines familiarity with the story and allows the actors to retain an element of the unexpected in their performance. 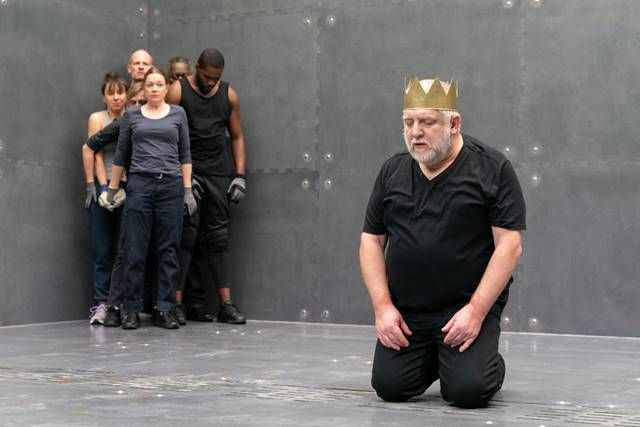 The experience is intense and the production goes out of its way to draw blood in a play where it appears, at least on the surface, to be very little bloodshed.